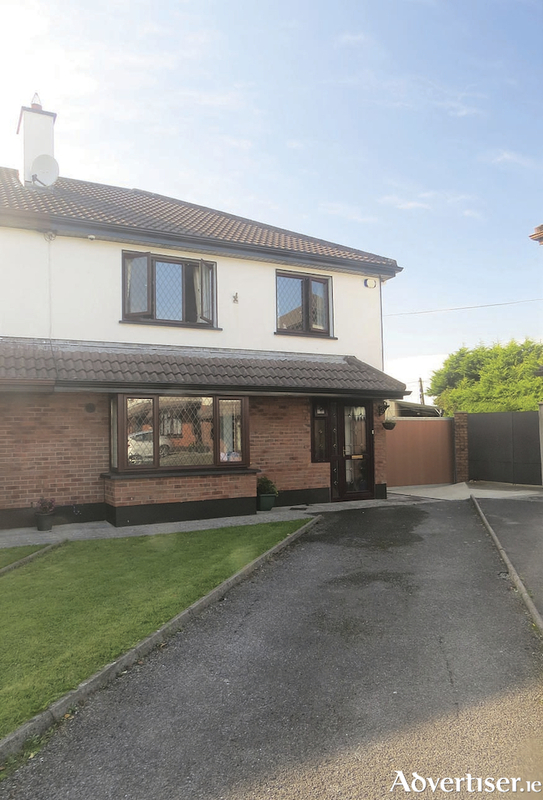 O'Donnellan & Joyce auctioneers is offering for sale an outstanding four bedroom semidetached home, located in the popular residential development of Belmont just off the Renmore Road. This popular and sought after development is on the east side of Galway city and has long been considered a premier residential family estate. Belmont is a quiet residential development located between Flannery's Hotel and GMIT and is accessed off the main Galway-Renmore road. The estate is a mature, well laid out residential development with a mixture semidetached and detached properties. No 22 Belmont is located within a quiet, traffic-free, cul-de-sac to the rear of the development and is presented in excellent decorative order and condition throughout. The property also boasts a wide gated side access allowing for an exceptionally large private rear garden with a sunny southwest facing aspect. The accommodation is bright and spacious and includes a wide entrance hall, a lounge room with feature bay window and solid fuel stove with back boiler. An open archway leads from living room to the open plan dining and kitchen. The heart of the home, the kitchen/dining room is beautifully appointed with ample storage and shelving. A downstairs guest toilet completes the accommodation on the ground floor. Upstairs the accommodation comprises a main family bathroom and four fine sized bedrooms, the master having an en suite bathroom. Outside the property has ample off street parking to the front and side, a wide gated side entrance leads into an exceptionally large private rear garden with a bright southwest aspect. The rear garden contains a large SteelTech shed with canopy, a patio area with seating, a lawn, and a children's play area. This is a warm, inviting, house which would be ideal for a first time buyer or as an excellent investment property. The property is within easy access of a host of amenities, services, schools, a large number of work centres, and situated on an excellent road and bus network. Viewing is highly recommended and guaranteed not to disappoint. The BER is C2. Asking price is €350,000.